Is IT management a drain on your resources, money, and most of all, time? Get assistance from our experts and take IT management off your hands. Get rid of the hassle of maintaining complex in-house infrastructure with Rete's web and email hosting services. We promise you utmost security, high performance, and round-the-clock availability with our hosting solutions. While technological advancements have made business operations simpler and more efficient, the cost of managing IT infrastructure can have a significant impact on your business's bottom-line. 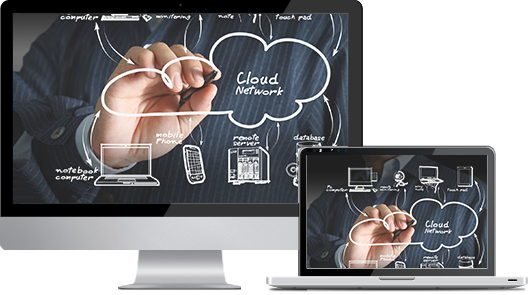 Let Rete manage and maintain your technological assets and help you extract greater value from your investment. Meeting the technological needs of today's mobile workforce is a challenge for many businesses, but Rete makes it easier for you by developing a custom-built technology plan that will fulfill your technological needs within your budgetary constraints. Secure, reliable, and high-performance, the email and web hosting solutions offered by Rete not only make it easier for you to leverage on the reach of the internet, but also ensure you zero downtimes so that you're available 24/7 to serve your customers and generate more revenue. Whether you're looking for a complete communication solution for your small office or you're a business with multi-site operation, Rete promises you organization-wide connectivity with our voice and data networking solutions. Rete Consulting is a single-source, turnkey managed IT services provider providing end-to-end solutions to businesses in Georgetown. With our wide spectrum of IT solutions and services, we make it easier for businesses to manage and maintain their IT assets and accelerate their progress towards their strategic goals. Being an industry leading IT company in Georgetown, Rete Consulting promises you excellent quality, superior performance, and prompt response to all your queries. Whether you're a small business, an entrepreneurial startup, or a Fortune 500 company, Rete Consulting provides you with a simpler and more cost-effective way of managing your IT resources. From web hosting and cloud migration to technology planning and network setup, we address all your IT-related problems and provide you a solution that becomes your competitive advantage. To learn more about our services or to request a free quote, you may call us at (512) 596-5001.